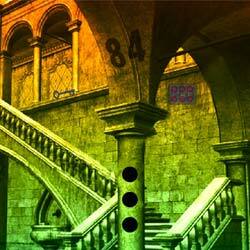 Dilapidated Golden House Escape is the new point and click escape game from Ajaz Games. Huge dilapidated house with golden look, you are so engrossed you go inside take pictures at the golden colours, suddenly you seem to be lost and the doors are locked, you start looking for the keys to unlock, solve the fun puzzles and escape yourself. enjoy free new online escape game. wish you Good luck. have fun playing ajazgames.